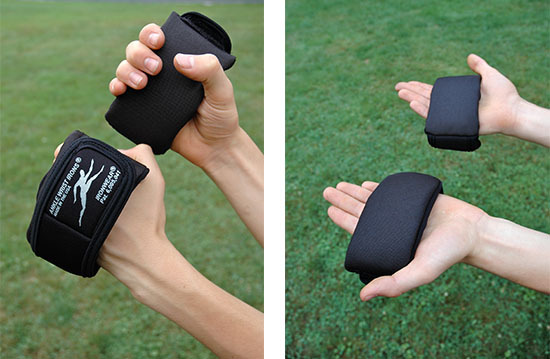 Anke Wrist Irons™ are IRONWEAR®'s newest adjustable hand, wrist, and ankle weights. These simple weights are extremely versatile and easy to use. Each Ankle Wrist Iron™ has two stretch weight pocket which can accept one or two standard 1/2 pound Flex-metal® weights. The new Ankle Wrist Irons™ are extremely durable. The soft outer surface is made of ballistic nylon laminate to foam for extra padding and strength. The inner surface is made of a knitted nylon laminated to neoprene rubber which acts to both hold the new weights and provide extra padding. The New Ankle Wrist Irons™ have extra thick padded securing strap bound with stretch lycra. This thick binding is both soft and strong and it increases the strap durability while still allowing the strap to stretch for comfort. 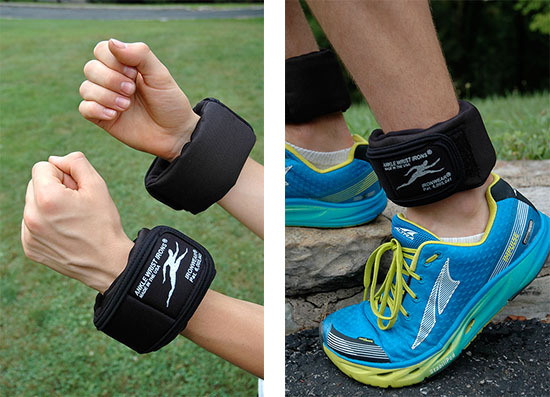 The new Ankle Wrist Irons™ use IRONWEAR®'s soft patented Flex-metal® weights, creating the softest safest weights. The Ankle Wrist Irons™ can also be connected together to create a soft comfortable weighted belt.